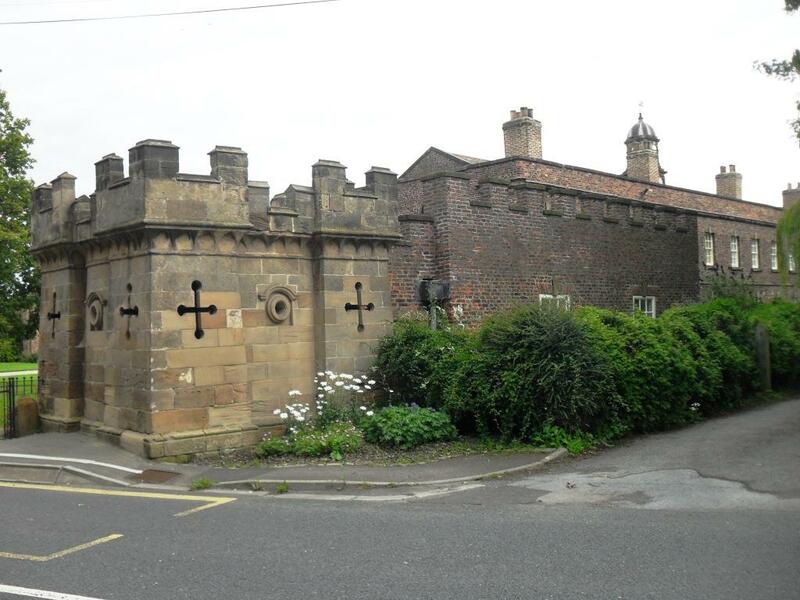 Two bastions, linked by a ha-ha wall, were built for Sir Charles Turner in the early to mid 18th century. Although they were made as garden features they may have been considered for defence against invasion by French privateers. 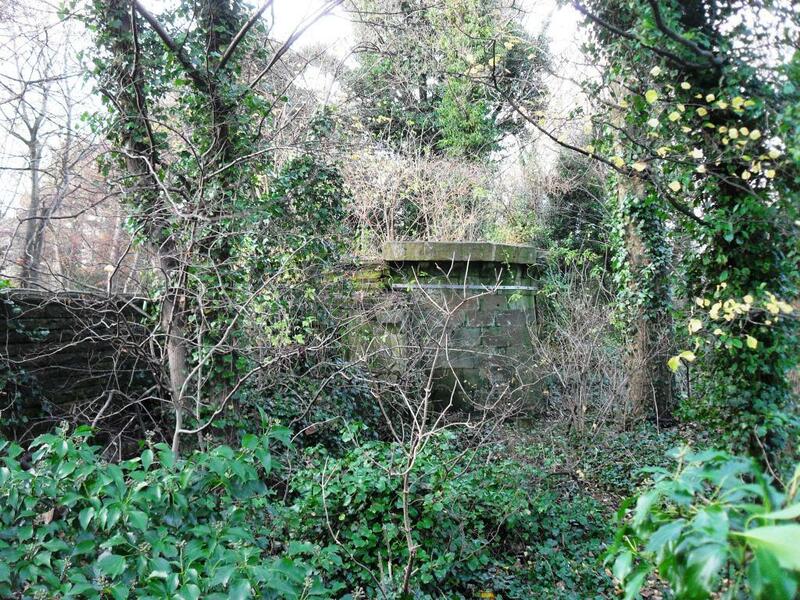 The Bastion at the roadside was actually adapted as a pillbox for defence during World War II. 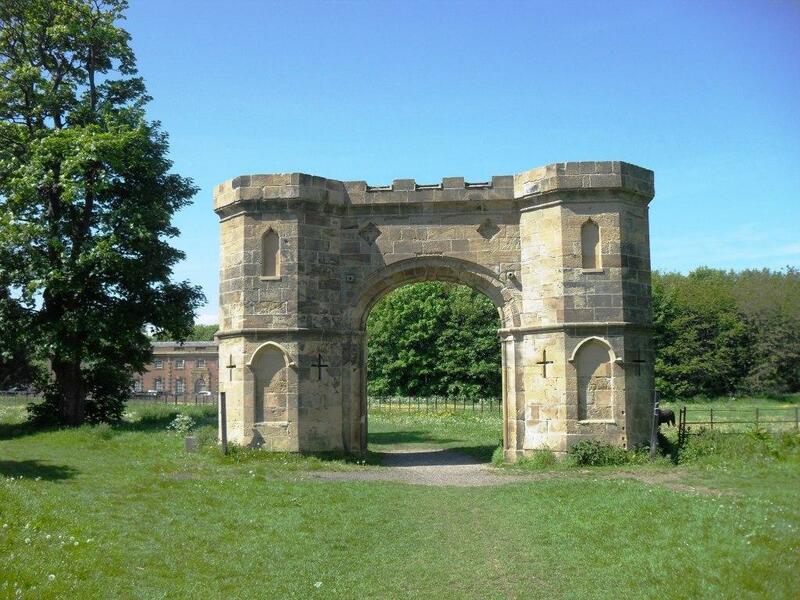 The ornamental gatehouse on the former driveway to Kirkleatham Hall was probably designed by John Carr, who had made additions to the stables there. He and William Chambers had both worked at Skelton. The gate piers to Kirkleatham Hall date from about 1700 and on top of each one is a sculptured lion passant holding millrind. The hall was demolished in 1955 when the gates and overthrow were destroyed. A millrind is an iron support for the 'turner' stone in a pair of millstones. A millrind cross is also used in heraldry. Turner was the name of the owner of Kirkleatham Hall. Kirkleatham Hall was demolished in 1954 and the stable block became derelict until its recent restoration. The stables were once used as a stud farm for racehorses and the circular tower with cupola was possibly used for viewing horses as they walked around the yard. Flying Dutchman, regarded as one of the finest racehorses of the 19th century, was kept there. Sir Charles Turner, 1st Baronet of Kirkleatham and MP for York from 1768 to 1783, built the village of Yearby as an estate village. The Turner's Arms Inn was built in 1761 and the embattled parapets were added slightly later. At the end of the arcades at the entrance to the Turner Hospital are two square fortresses that were added during renovations in 1820. They housed a laundry and storerooms.